If you want big sound, you no longer need big speakers. And you definitely don’t need to spend big money. There are many portable Bluetooth speakers under $100 that are more than able to provide you with your personal soundtrack while having a blast with friends, exercising, cooking, or just lazing around in the bed. That said, we’ve compiled some of the best for you. Follow along below, and we’ll show you our favorites. The Amazon Echo Dot comes up first on our countdown, but might be one of the most affordable and premium Bluetooth speakers on our list so far. Amazon designed this one to be affordable, and while it might be surprising, the Echo Dot can bring you some extremely premium sound. The Echo Dot isn’t just a Bluetooth speaker either — the Echo Dot is your very own virtual assistant. Say things like “Hey Alexa”, and you can give it commands, such as “how’s the weather?” or “what’s coming up on my calendar?” The commands you can tell Alexa are endless. Oontz is second on our countdown, and while it might not be the most well recognized brand, the speaker is able to fill the room with really premium sound. It actually has a pretty unique design — sitting on an angle, just like the product name implies — and has all of the controls on the very end of it. This one delivers great clarity stereo sound with clear mids and highs from dual-acoustic drivers inside the speaker. It has a bass output that is enhanced by their own bass radiator. One of the unique things about the Oontz Angle 3 is that it has some really loud sound as well. 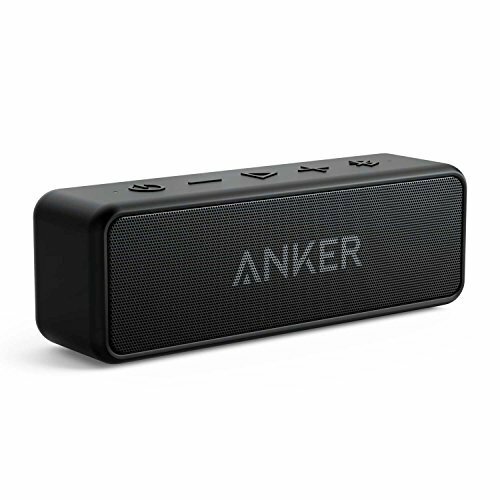 The Anker Soundcore 2 costs only around $30, yet it offers everything most people want from a Bluetooth speaker. Thanks to a pair of full-range drivers and a high-end digital signal processor, the Soundcore 2 produces 12 W of room-filling stereo sound and ensures distortion-free playback even at high volumes. A patented spiral bass port extends the low end to make you feel the bass instead of just hearing it. The Soundcore 2 is powered by a large Li-ion battery, and you can expect it to last up to 24 hours on a single charge. The speaker connects to your smartphone via Bluetooth 4.2 and provides a rock-solid connection up to 66 feet away. You can take the Soundcore 2 on the beach with you, but don’t take it in the water with you. It’s IPX5-rated, which means it can survive a splash of water, but it’s not as water-resistant as, let’s say, the iPhone X. With its price of almost exactly $100, the JBL Flip 4 deservers every single dollar you have in your budget. Since its release, this incredibly popular Bluetooth speaker has amassed thousands of positive reviews from users around the world, who all rave about its impressive sound quality, excellent build, and IPX7 water-resistance. The Flip 4 can connect to up to 2 smartphones or tablets at the same time, so you and your friend can take turns playing music. You can link up to 100 Flip 4 speakers together to amplify the sound and turn your barbeque into an iconic block party. Because the Flip 4 is available in 8 different colors, you and your friends will always be able to tell which speaker belongs to whom. 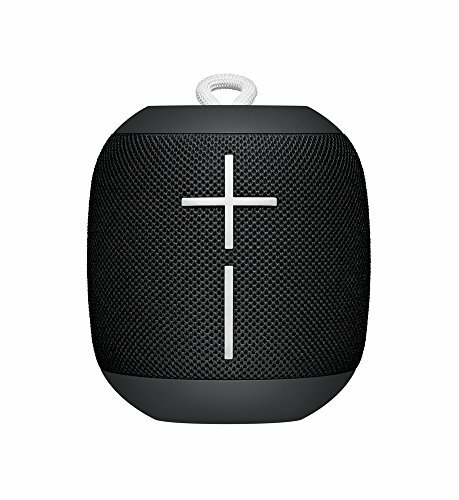 The WONDERBOOM from Ultimate Ears is a lifestyle accessory just as much as it is a Bluetooth speaker. 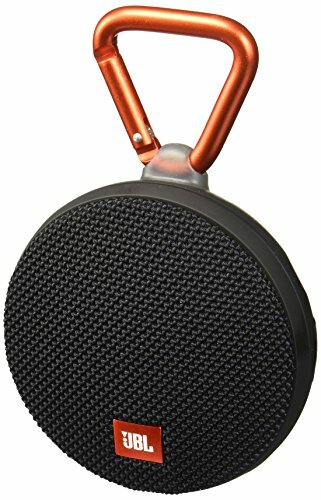 Available in over 10 colors and color combinations, this compact speaker is guaranteed to match your personal style, and you can carry it in your backpack, clip it to your bike, or just hold it in your hand. The WONDERBOOM is both water-resistant and shock-proof, making it fully ready for your drunken adventures and clumsy hands. Despite its compact size, it can play for up to 10 hours on a single charge, and it delivers surprisingly crisp, boomy sound that can fill up an entire room and liven up any occasion. Two WONDERBOOM Bluetooth speakers can be paired with each other by pressing and holding the UE button for even bigger, juicier sound. The JBL Clip 2 is an ultra-portable Bluetooth speaker with a built-in carabiner that allows you to take it with you on all your adventures. You might expect such a small Bluetooth speaker to either cost a lot of money or be barely usable. In reality, the Clip 2 sells for around $50, and both its build and sound deserve a lot of praise. Thanks to its IPX7 rating, the Clip 2 can play even under water, and its long-lasting battery allows you to enjoy it for up to 8 hours without charging. 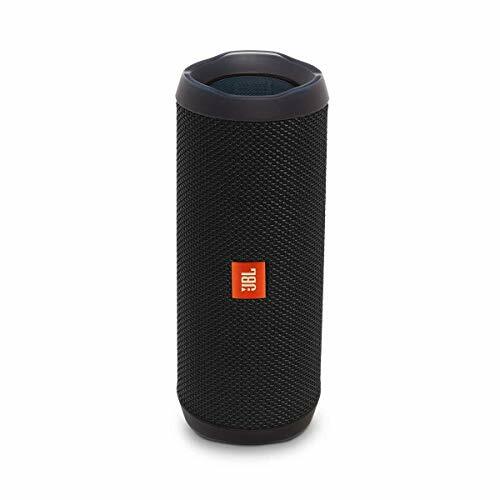 Just like with other Bluetooth speakers from JBL, it’s possible to wirelessly connect two Clip 2 speakers together to enjoy amplified sound. However, even a single Clip 2 speaker produces lows, mids, and highs with such a clarity, ease, and precision that you won’t believe it until you hear it. The Amazon Echo is a voice-controlled Bluetooth speaker with the voice-controlled intelligent personal assistant service Alexa. You can tell the speaker to play music from Amazon Music Unlimited, make calls, control your smart home devices, and much more. Inside the speaker are two drivers that deliver 360° omnidirectional audio, along with crisp vocals, deep bass, and clear highs. 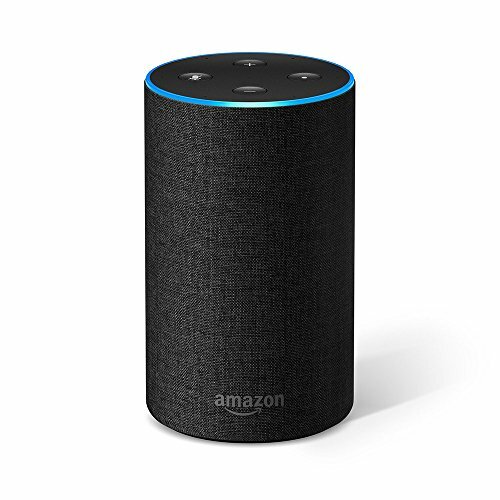 The Amazon Echo is equipped with seven microphones that listen to sound bouncing off walls and fine-tune the playback using beamforming technology to ensure the highest sound quality possible in every environment. Of course, having seven microphones is also useful for phone calls as they allow the Echo to hear you from any direction, even with music playing in the background. The world is full of Bluetooth speakers these days, which can make it difficult to find the perfect one. There are tons of brands that offer Bluetooth speakers at varying qualities; however, the differences begin to be extremely minimal and hard to differentiate when you start getting above $100. That said, any one of the speakers on our list should do an excellent job at enhancing your sound quality, with the ability to fill a room with premium music. Do you have a favorite Bluetooth speaker? Sound off in the comments section below!